Cook bacon and drain on paper towel. 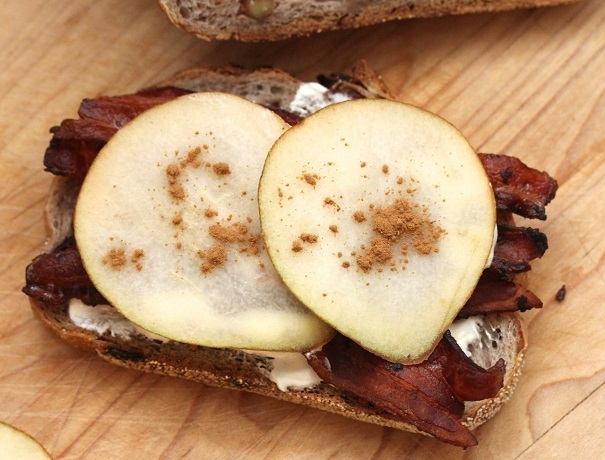 Slice pear into ½ inch slices. 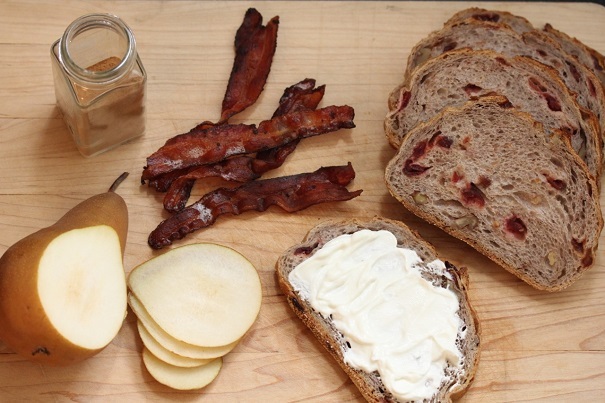 Toast bread and spread with fromage blanc. Sprinkle generously with cinnamon. 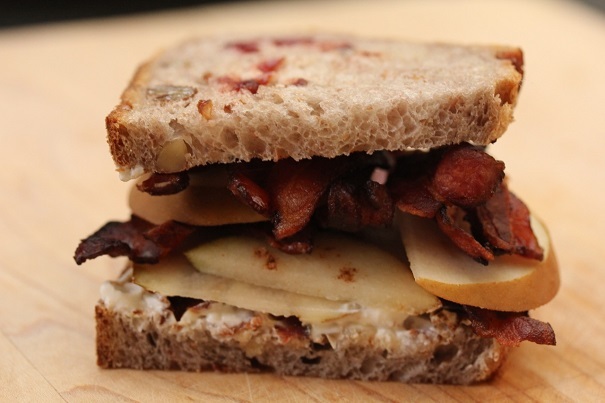 Add pear and bacon, and top with other slice of bread.